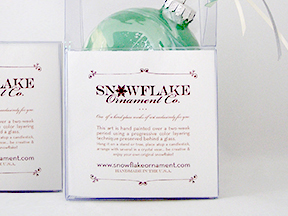 Snowflake Ornament is now sold exclusively at Etsy. If you prefer to order by mail please CLICK HERE to download the Order Form. To avoid unnecessary delays, email me before mailing your order to ensure it is completed properly. 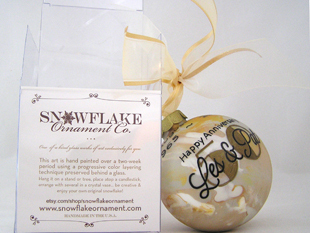 Download, open & print the Snowflake Ornament Co. order form. Click order form picture below. We Accept Master Card, Visa or Checks for Mail In Orders. 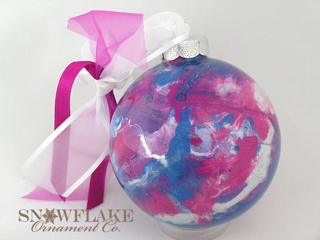 If desired, personalize the ornament. 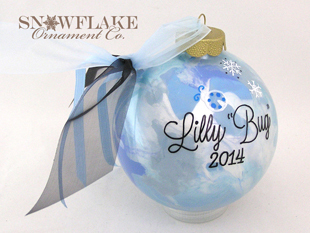 A family or company name, a location, a special event, a year or a holiday message. The sky is the limit, but for space and aesthetic purposes keep your message brief. 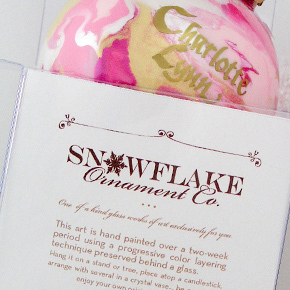 The product story card explains the creation process and signifies that each ornament is as special and unique as the person who is receiving it. This is provided at no additional charge. 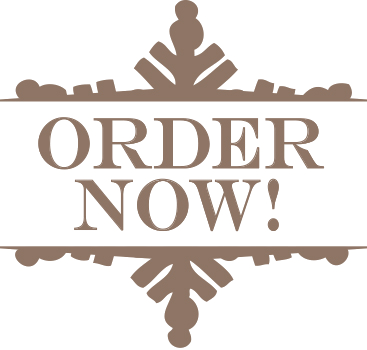 Complete the entire order form and mail it to us. Please do not hesitate to contact us if you have any questions. Thank you!